A big welcome to Yair Werdyger, TCRG/ADCRG and founder of The Israeli Academy of Irish Dance. Christy: How did your dance school begin? Yair: I first saw Irish Dance in 1994 at the Eurovision song contest when Michael Flatley and Jean Butler danced the seven minutes of Riverdance. I bought video tapes of self learning made by Olive Hurley. In 2002 after serving three years in the Israeli army, I opened Irish Dance - Israel. 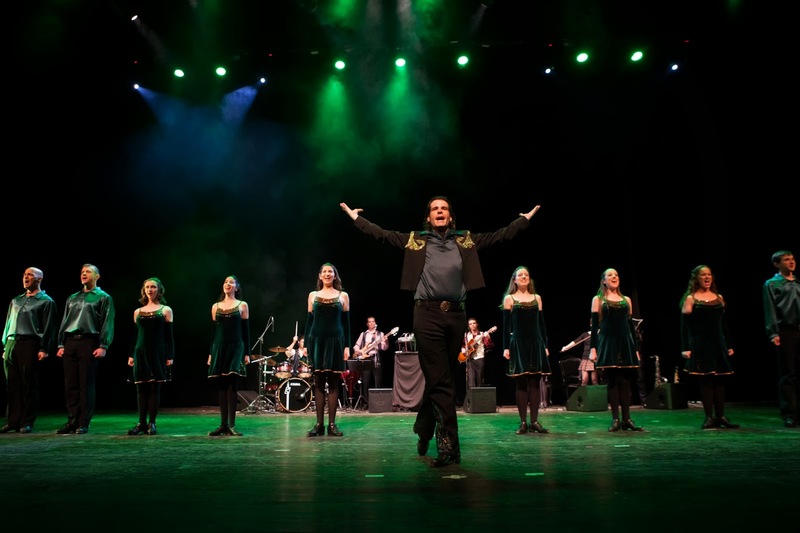 At first there were thirty students that were the first Israeli Irish dance troupe and the main purpose was to perform and bring this art form to Israel. In 2005 I was exposed to the traditional dance and a new world opened to my eyes, so I decided to learn correctly and I traveled back and forth to Galway. There I was taught by my dance teacher and adjudicator, Mary Brady. I traveled to many competitions to practice and did sessions with famous adjudicators including: John Carey, Sarah Clark, Jackie Kennedy, Mary Sweeney, Vicki Paulin, Lisa Delaney, Ronan McCormak, Michael Meehan, and the one and only Molly Farrelly. In 2011, I passed the ADCRG exam and became the first qualified adjudicator in Israel, and in January 2013 I had the privilege to dance with Lord of the Dance on their Israeli tour. Now we have around 250 students in the Academy ages 6-60 and I expect that every year we will grow. Christy: How is Irish dance received in Israel? Yair: It is received very well. Lord of the Dance performed in Israel 4 times and every performance was sold out. Every year the demand for us to perform in private and at corporate events has grown, and our big show, Magic of Ireland, composed by my partner Alex Reznikovich, sold out in many of the big theaters in Israel. Christy: Does your school compete or perform? Where have you danced? 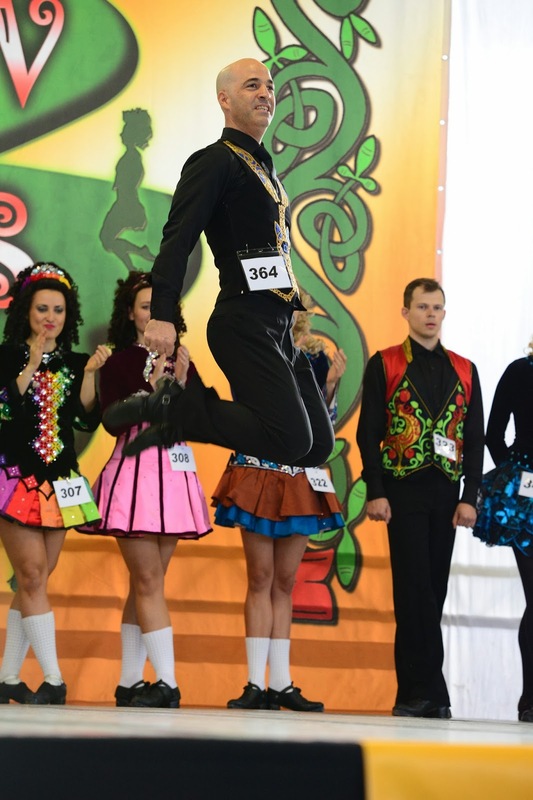 Yair: Every year we run a class Feis in our academy and I host adjudicators from abroad. On the 13th of October 2013 our student, Itay Cohen, who is celebrating 40 years old, competed and placed well at the Vienna Feis. We have a couple, Pavel Kolesov and Marina Frumkin, who will compete at the Mainland of Europe championship in Krakow this November in primary and intermediate level. I think in 2 years they can be qualified to compete at the worlds and will be the first Israeli dancers there. I am the soloist of the show which I created with the composer Alex Reznikovich. Magic of Ireland combines my academy's dance troupe, Alex's Irish band, and a singer. It's a dynamic show with international standards. We also performed in Irish pubs around Israel, especially on St. Patrick's Day and Arthur Guinness Day. Christy: Do you teach adult Irish dancers? Yair: Sure! At the beginning of our school, just adults came to dance because they were exposed to Irish dance when Lord of the Dance came to Israel, but now there are many kids who are attending the classes, and we have families who dance too. Christy: What are your goals in Irish dancing? Yair: As for my own goals, I have achieved lots of them: qualified to be a teacher and adjudicator, danced with Lord of the Dance, and adjudicate in many major competitions, including the worlds. Bringing more kids and adults to the classes, and sending many students to compete abroad, including the worlds. Lastly, to make Magic of Ireland an international show. Christy: How do you envision Irish dance in the future in Israel? Yair: I think in couple of years the Irish dance will be as well known in Israel as ballet, flamenco, belly dance, salsa, etc. I brought the Irish dance to Israel, and I will keep doing this for many years ahead--it's my full time job and passion. Christy: Is there anything else that you would like us to know? Yair: Our Academy is like family and among our adult students we have 3 couples who met during the classes. I also met my love, Inbal, in the academy and I feel blessed every day. * All photos courtesy of The Israeli Academy of Irish Dance. Readers: Are you an Irish dancer or a dance school, competitive or not, with a story to share? Would you like to inspire others to feel your passion for Irish dancing and culture? Do you have a question about Irish dancing? Please visit www.christydorrity.com.